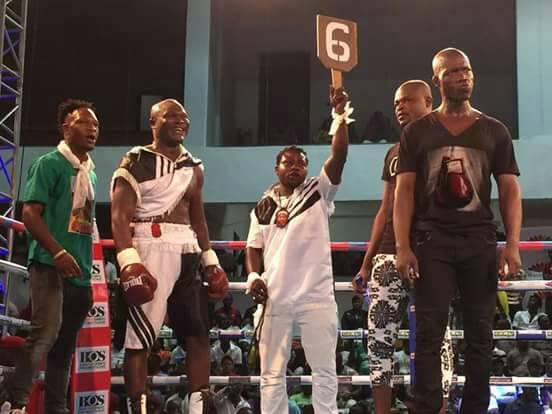 ​Former WBO Africa Cruiserweight champion, Braimah Kamoko, known commonly as Bukom Banku suffered a humiliating defeat to former Ghana Amateur boxing team captain, Bastie Samir in the cruiserweight non-title bout held at the Bukom Boxing Arena in Accra on Saturday night. Bukom Banku, who promised to knock out Bastie in the 6th Round, struggled to find his feet from the 3rd Round after enduring tough punches from his opponent. In what turned out to be the first loss in his professional career, Bukom Banku was forced by Bastie to taste the floor in the 3rd Round after a heavy blow served to his [Bukom Banku] face. 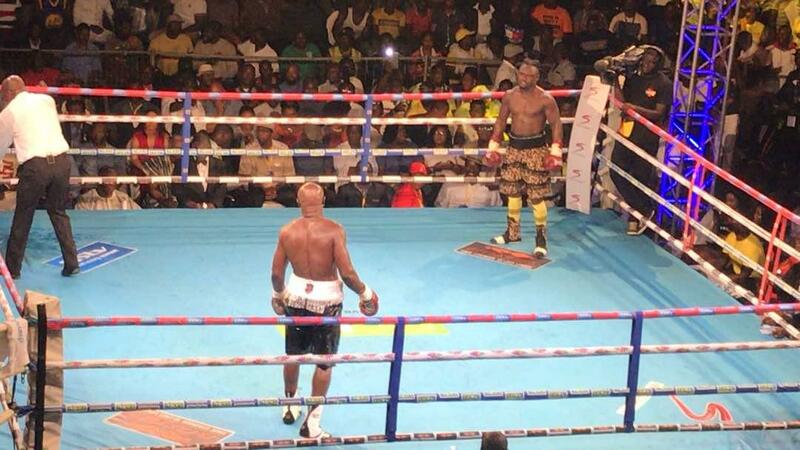 A visibly fatigued Bukom Banku struggled to complete the subsequent rounds as Bastie’s jabs proved to have what it takes to draw the remaining energy out of him. He succumbed in the 7th Round after another punch landed him on the floor, leaving the referee, Roger Banor with no option but to end the bout. 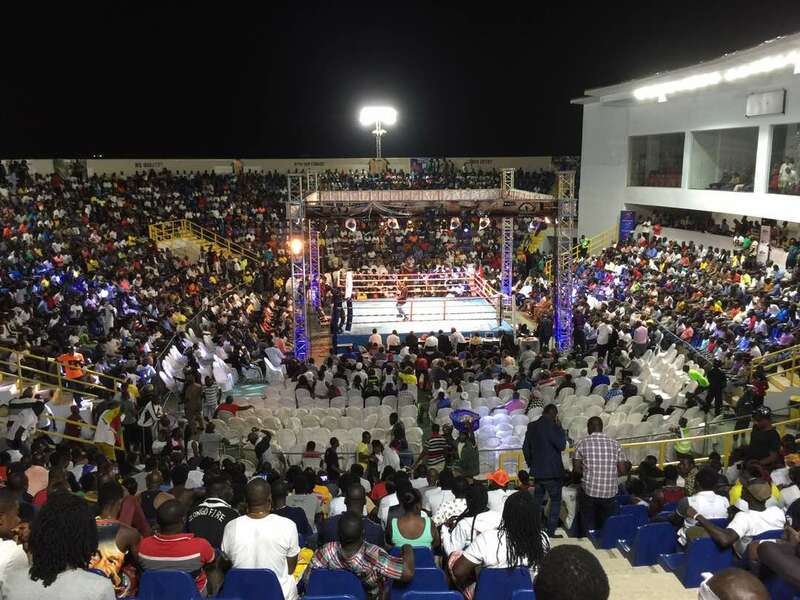 Thousands of boxing enthusiasts, including former World boxing champion, Azuman Nelson, were present to witness the historic bout. The bout was with the tagline ‘Make or Break,’ and was promoted by Box Office Promotions.